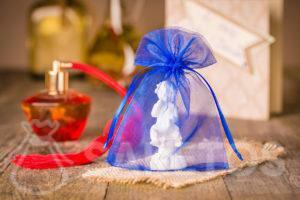 Inspire yourself if you don not know how to use a pouch from organza for grandparents day! 18 x 24 cm linen pouch, pattern painted with watercolours. One of the ways is DIY, a handmade gift for Grandparents day. It is known not only from today, that gifts made personally have the greatest value. A donated person feels appreciated and sees the contribution of your work, effort and time put into preparing a gift. 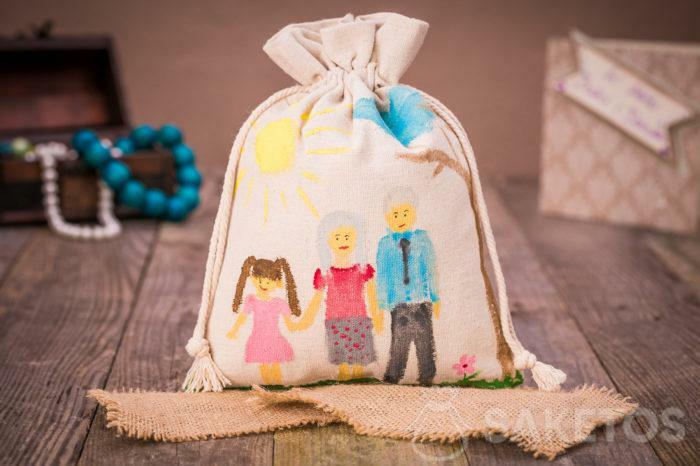 Let your children paint a linen bag. The hand-made pattern will surely give a lot of fun to children. The bestowed person will delighted and moved to tears. Such a pouch created with your heart will be an ideal packaging for a hand-made gift. You can make a unique gift in a cheap and simple way that no one would copy. 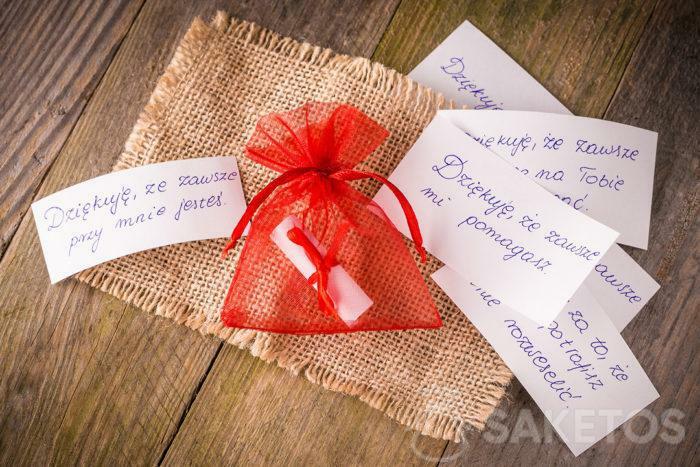 Another way to use pouches in a very creative way is to put inside a card with a drawing or an inscription, or an object that describes the bestowed one. You can prepare a list titled: “10 reasons why I love you”, “10 features that I love in you”, “10 things that I associate with you” or simply “thank you for …”. This offer without a doubt will bring tears of happiness. In addition, it is very flexible – the number of cards and the subject we adjust ourselves. A journey around the world of coffee and tea. Do your Grandparents like a fine tea or coffee? 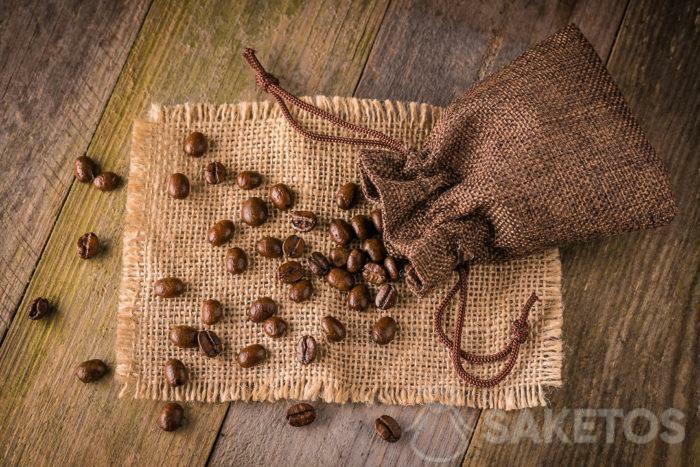 You can buy really good fresh coffee beans as well as loose leafs of tea from around the world. Both coffee and tea should be properly stored so that it does not lose its aroma and taste value. 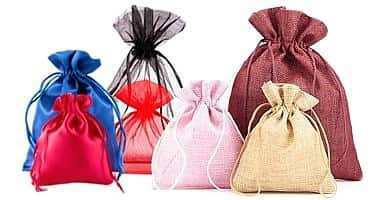 For this purpose, flaxen or jute pouches will work perfectly. They are characterized by high durability. What is more, they are antibacterial and above all made of strong fabric which can be washed. That is why our decorative pouches will serve you for many years. Decorate the flower pot with a pouch. Typical flower pots usually look unattractive. Plain plastic is not interesting to our eye. This can be changed in a simple way! It is enough to hide the pot in one of our beautiful bags. Adding a “character” to the plant by decorating its bottom with a pouch with an interesting print or a version decorated by a child will make it look delightfully and peculiarly. Natural linen, jute, metallic, satin, velour, denim or organza bags – everyone will find something that will appeal to him/her. 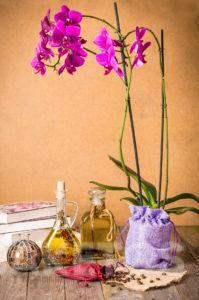 Attractive and an interesting gift does not have to cost a fortune. You can create it in a simple way using the above advice. Thanks to our various gift ideas for the Grandparents day, you will make them feel great joy! 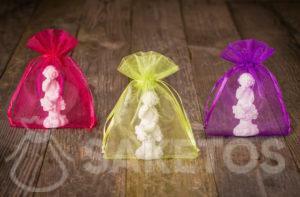 As we showed above you can make an use of our drawstring pouches in many interesting ways.